Getting ready sessions is absolutely a wedding photographer's favorite part of the day. This is an opportunity break ice with most important members of wedding party the bridal entourage. 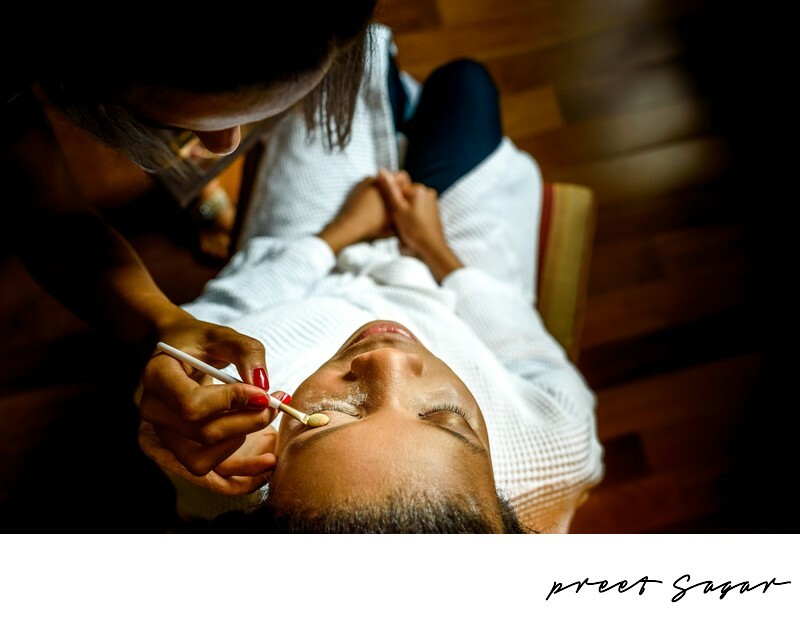 I like to reach early for the make up to build a rapport with the Bridal Make Up Artists and coordinate the location in the suite where the bride will spend time getting ready. It is very important for the bride to see her make up in natural light which helps capture beautiful wedding photos and lovely skin tones. This Nigerian Wedding Bride was getting ready in the bridal suite in Mövenpick Hotel Ibn Battuta Gate Dubai which is decorated with beautiful earthy tones and lovely natural light seeping through the windows. The Nigerian Weddings are so unique and whole spirit family affair. Location: Mövenpick Ibn Battuta Gate Hotel Dubai - Dubai - United Arab Emirates. Filename: 23-P2S_0533.JPG. 1/125; f/4.5; ISO 1250; 35.0 mm.